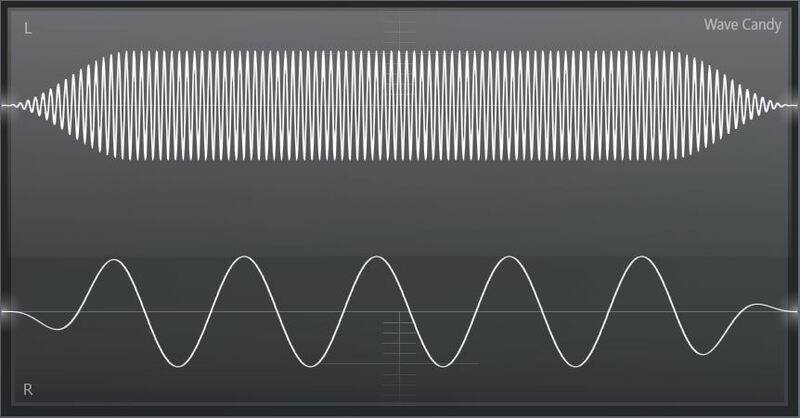 What Does Frequency Modulation Look Like? Frequency modulation, also known as FM, is a signal processing method used around the world in radio broadcasting, radar, medicine, music production, and a load of other technologies. And yes, that’s what the “FM” stands for in FM radio. But what is it exactly, and how does it work? This article will demystify the concept for you. The word “modulate” really just means to instantaneously change some property of a signal waveform using a different waveform. When one signal waveform “modulates” another, it changes a property of the signal being modulated. We call the signal being modulated the carrier, and the signal doing the changing the modulator. Lets take two sine waves, for example. By themselves, each has a different and constant value for the variables of frequency, amplitude, and phase. When a modulating sine wave is used to instantaneously vary the frequency of the carrier wave, it’s called frequency modulation. FM is basically changing the pitch of a waveform really, really fast. Simple, right? Some pictures usually help. In this example, the 2100 Hz signal will be the carrier wave and the 120 Hz signal will be the modulator and will be used to change the frequency of the carrier wave really fast. This means that the carrier wave’s frequency of 2100 Hz (and pitch too, since pitch is related to frequency) will increase and decrease in a periodic manner. The amount of fluctuation in the carrier’s frequency will depend on the modulator’s amplitude, and the number of fluctuations in the carrier’s frequency per second will depend on the modulator’s frequency. Let’s take a look at the new FM signal. As the 120 Hz modulator’s amplitude increases, the carrier’s 2100 Hz frequency increases, squeezing the peaks and troughs together. 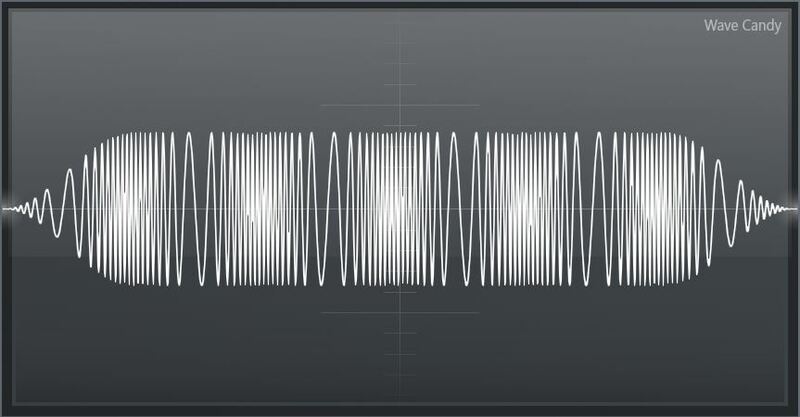 As the modulator’s amplitude decreases, the carrier’s frequency decreases, spreading the peaks and troughs out. One full squeeze and one full spread happen 120 times per second because the modulators frequency is 120 Hz. We can also say that the modulator’s amplitude was at a minimum where we see the biggest spaces between peaks and troughs in the FM signal, and the modulator’s amplitude was at a maximum where we see the smallest spaces between peaks and troughs. The radio stations you can tune into in your car usually have numbers associated with them. 97.9 KISS FM, 95.1 WAPE, Z100, etc. These numbers are actually the carrier radio wave frequency of that station in MHz. The modulator is the audio signal being broadcast. So music, annoying car commercials, UFO flight control, etc. The carrier wave stores the modulator wave in it’s frequency and carries it from the transmitter at the radio station to the receiver in your car. The receiver demodulates the signal, basically decoding it to extract the modulator signal back out of the carrier and sends the audio signal to your speakers. It’s basically magic. Frequency modulation synthesis is a bit different from FM radio. With FM synthesis, we’re taking two audio waves, and modulating one’s frequency with the other to create a more interesting sound. We can hear frequency modulation synthesis used in many types of electronic music. One sub-genre we can easily identify it in is dubstep. FM synthesis is responsible for the gritty, growling, mean-sounding bass in many dubstep tracks. FL Studio’s Sytrus plugin is an example of a real-life application of FM in music production.